Super Smash Bros. Direct on August 8th! New information for Super Smash Bros. 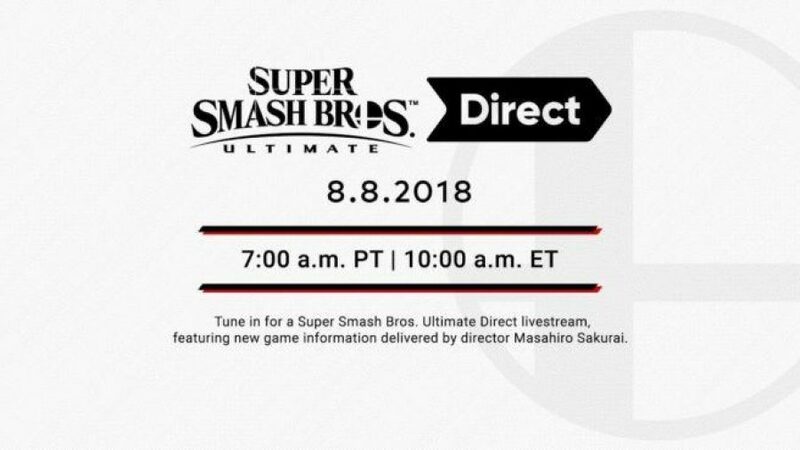 Ultimate to be revealed on August 8th, 2018, via a Super Smash Bros. Direct hosted by Masahiro Sakurai, the game’s director! It’s not ULTIMATE for no reason. We won’t be seeing some of our favorites but at least we get something!